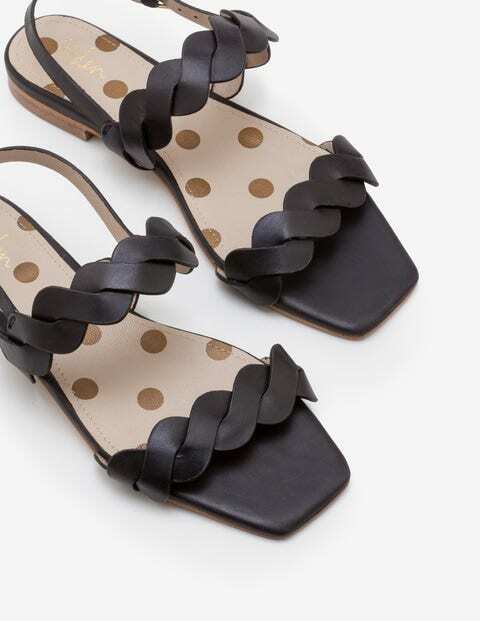 With intricately woven straps, these striking slingback sandals will dress up your warm-weather wardrobe. They've got a square toe that lends a contemporary edge, with a buckle fastening for comfort. Classic tan or black leather will be all-season-long staples or choose rouge suede or statement snakeskin effect for exotic impact.